Hemolytic uremic syndrome (HUS) is characterized by microangiopathic hemolytic anemia, thrombocytopenia and ischemic injury to organs (especially the kidney) due to endothelial injury and microvascular thrombosis [1Caprioli J, Noris M, Brioschi S, et al. Genetics of HUS: the impact of MCP. Genetics of HUS: the impact of MCP, CFH, and IF mutations on clinical presentation, response to treatment, and outcome Blood 2006; 108: 267-79.-3Laurence J. Atypical hemolytic uremic syndrome (atypical HUS): Making the diagnosis Clin Adv Hematol Oncol 2012; 10: 3-9.]. In a majority of patients with HUS, thrombotic microangiopathy is preceded within a week by a bacterial infection such as gastroenteritis, often hemorrhagic, due to shiga toxin-producing E. coli [1Caprioli J, Noris M, Brioschi S, et al. Genetics of HUS: the impact of MCP. Genetics of HUS: the impact of MCP, CFH, and IF mutations on clinical presentation, response to treatment, and outcome Blood 2006; 108: 267-79., 3Laurence J. Atypical hemolytic uremic syndrome (atypical HUS): Making the diagnosis Clin Adv Hematol Oncol 2012; 10: 3-9.]. In approximately 10% of patients with HUS, a bacterial infection is not identified (so-called atypical HUS) [1Caprioli J, Noris M, Brioschi S, et al. Genetics of HUS: the impact of MCP. Genetics of HUS: the impact of MCP, CFH, and IF mutations on clinical presentation, response to treatment, and outcome Blood 2006; 108: 267-79.-4Goldberg RJ, Nakagawa T, Johnson RJ, Thurman JM. The role of endothelial cell injury in thrombotic microangiopathy Am J Kidney Dis 2010; 56: 1168-74.]. Accumulating evidence suggests a role for the complement system in the pathogenesis of atypical HUS [3Laurence J. Atypical hemolytic uremic syndrome (atypical HUS): Making the diagnosis Clin Adv Hematol Oncol 2012; 10: 3-9.-6Loirat C, Frémeaux-Bacchi V. Atypical hemolytic uremic syndrome Orphanet J Rare Dis 2011; 6: 1-30.]. In approximately half of patients with atypical HUS, hereditary defects in complement regulatory proteins result in activation of the complement system [5Solaris (eculizumab) [prescribing information] Cheshire CT Alexion Pharmaceuticals 2012.]. Administration of plasma (either in the form of plasma exchange or plasma infusion) has remained the standard treatment for atypical HUS for over three decades [1Caprioli J, Noris M, Brioschi S, et al. Genetics of HUS: the impact of MCP. Genetics of HUS: the impact of MCP, CFH, and IF mutations on clinical presentation, response to treatment, and outcome Blood 2006; 108: 267-79., 2Schmidtko J, Peine S, El-Housseini Y, et al. Treatment of atypical hemolytic uremic syndrome and thrombotic microangiopathies: a focus on eculizumab Am J Kidney Dis 2013; 61: 289-99., 5Solaris (eculizumab) [prescribing information] Cheshire CT Alexion Pharmaceuticals 2012., 6Loirat C, Frémeaux-Bacchi V. Atypical hemolytic uremic syndrome Orphanet J Rare Dis 2011; 6: 1-30.]. While plasma infusion restores deficient regulatory proteins, plasma exchange has the additional benefit of removing autoantibodies that inhibit complement regulatory proteins. However, long-term treatment with this form of therapy can be difficult to achieve. Additionally, recent data have emphasized that patients with atypical HUS can fail to respond to aggressive plasma therapy [5Solaris (eculizumab) [prescribing information] Cheshire CT Alexion Pharmaceuticals 2012., 7Nürnberger J, Philipp T, Witzke O, et al. Eculizumab for atypical hemolytic-uremic syndrome N Engl J Med 2009; 360: 542-4.-9Chatelet V, Frémeaux-Bacchi V, Lobbedez T, Ficheux M, Hurault de Ligny B. 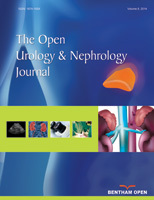 Safety and long-term efficacy of eculizumab in a renal transplant patient with recurrent atypical hemolytic-uremic syndrome Am J Transplant 2009; 9 : 2644-5.]. A neutralizing monoclonal antibody directed against complement C5, eculizumab has shown salutary effects in patients with atypical HUS by inhibiting complement-mediated thrombotic microangiopathy [5Solaris (eculizumab) [prescribing information] Cheshire CT Alexion Pharmaceuticals 2012., 7Nürnberger J, Philipp T, Witzke O, et al. Eculizumab for atypical hemolytic-uremic syndrome N Engl J Med 2009; 360: 542-4.-9Chatelet V, Frémeaux-Bacchi V, Lobbedez T, Ficheux M, Hurault de Ligny B. Safety and long-term efficacy of eculizumab in a renal transplant patient with recurrent atypical hemolytic-uremic syndrome Am J Transplant 2009; 9 : 2644-5.]. The U.S. Food and Drug Administration has recently approved eculizumab for the treatment of atypical HUS [5Solaris (eculizumab) [prescribing information] Cheshire CT Alexion Pharmaceuticals 2012.]. The patient was started on daily plasmapheresis and prednisone 1 mg/kg/day. However, over the ensuing days the hemoglobin concentration and platelet count declined to 7.2 g/dL and 40,000/μL, respectively. In addition, renal function remained poor necessitating initiation of hemodialysis because of hyperkalemia and metabolic acidosis. Considering deterioration in renal function and hematologic profile despite plasma exchange and high-dose glucocorticoids, eculizumab therapy was started. To provide prophylaxis against meningococcal infections (a reported complication of eculizumab therapy) a meningococcal vaccine and penicillin were administered. The patient was induced with eculizumab 900 mg intravenously once a week for 4 weeks followed by maintenance therapy with eculizumab 1200 mg intravenously every 2 weeks (Fig. 1 ). During the first 4 weeks of eculizumab therapy, there was an improvement in platelet count and hemoglobin concentration following each dose. However, the effect was mild and transient (Fig. 1 ). Meanwhile, renal function remained poor requiring intermittent hemodialysis. The patient’s overall condition stabilized and he requested discharge from the hospital. Loirat [6Loirat C, Frémeaux-Bacchi V. Atypical hemolytic uremic syndrome Orphanet J Rare Dis 2011; 6: 1-30. ], Schmidtko [2Schmidtko J, Peine S, El-Housseini Y, et al. Treatment of atypical hemolytic uremic syndrome and thrombotic microangiopathies: a focus on eculizumab Am J Kidney Dis 2013; 61: 289-99. ], Laurence [3Laurence J. Atypical hemolytic uremic syndrome (atypical HUS): Making the diagnosis Clin Adv Hematol Oncol 2012; 10: 3-9.] and Noris [7Nürnberger J, Philipp T, Witzke O, et al. Eculizumab for atypical hemolytic-uremic syndrome N Engl J Med 2009; 360: 542-4.] have emphasized that thrombotic thrombocytopenic purpura (TTP), shiga toxin-producing Escherichia coli induced HUS (STEC-HUS) and atypical HUS cause microangiopathic hemolytic anemia, thrombocytopenia and target organ injury [1Caprioli J, Noris M, Brioschi S, et al. Genetics of HUS: the impact of MCP. Genetics of HUS: the impact of MCP, CFH, and IF mutations on clinical presentation, response to treatment, and outcome Blood 2006; 108: 267-79.]. Indeed, from a clinical standpoint, the diagnosis of thrombotic microangiopathy relies on the demonstration of thrombocytopenia (platelet count <150,000/μL or a 25% decrease from baseline), microangiopathic hemolytic anemia (schistocytes, elevated LDH, decreased haptoglobin, decreased hemoglobin) and target organ injury (such as abnormal renal function tests, elevated liver function tests, neurological symptoms, gastrointestinal symptoms, increased pancreatic enzymes, etc.) [3Laurence J. Atypical hemolytic uremic syndrome (atypical HUS): Making the diagnosis Clin Adv Hematol Oncol 2012; 10: 3-9.]. Because endothelial injury is the major underlying pathology, clinically TTP, STEC-HUS and atypical HUS are often indistinguishable from one another with a concession that lungs are rarely involved in patients with TTP [1Caprioli J, Noris M, Brioschi S, et al. Genetics of HUS: the impact of MCP. Genetics of HUS: the impact of MCP, CFH, and IF mutations on clinical presentation, response to treatment, and outcome Blood 2006; 108: 267-79., 4Goldberg RJ, Nakagawa T, Johnson RJ, Thurman JM. The role of endothelial cell injury in thrombotic microangiopathy Am J Kidney Dis 2010; 56: 1168-74.]. In this context, laboratory tests often help a great deal in establishing the diagnosis [3Laurence J. Atypical hemolytic uremic syndrome (atypical HUS): Making the diagnosis Clin Adv Hematol Oncol 2012; 10: 3-9.]. While Coombs-negative hemolytic anemia (schistocytes), increased LDH, low haptoglobin, thrombocytopenia, and indicators of target injury (such as increased BUN/Cr, elevated liver function tests and pancreatic enzymes etc.) can be common to the three major TMAs, specific investigations such shiga toxin test and ADAMTS13 activity can be very helpful in distinguishing among the three entities. The current case demonstrated both normal ADAMTS13 activity and negative shiga toxin test, favoring the diagnosis of atypical HUS [3Laurence J. Atypical hemolytic uremic syndrome (atypical HUS): Making the diagnosis Clin Adv Hematol Oncol 2012; 10: 3-9.]. The current case also demonstrated low C3 and normal C4, indicating activation of the complements through the alternative pathway. Recently, eculizumab therapy has been shown to be successful in the management of atypical HUS [5Solaris (eculizumab) [prescribing information] Cheshire CT Alexion Pharmaceuticals 2012., 7Nürnberger J, Philipp T, Witzke O, et al. Eculizumab for atypical hemolytic-uremic syndrome N Engl J Med 2009; 360: 542-4.-9Chatelet V, Frémeaux-Bacchi V, Lobbedez T, Ficheux M, Hurault de Ligny B. Safety and long-term efficacy of eculizumab in a renal transplant patient with recurrent atypical hemolytic-uremic syndrome Am J Transplant 2009; 9 : 2644-5.]. In the case presented, eculizumab induction therapy did not produce immediate results. In fact, there were fluctuations in hemoglobin concentration and platelet count during eculizumab therapy. While there was an improvement in anemia and thrombocytopenia after eculizumab infusion, the effects were not sustained and the response was short lived. Indeed, there was a time during the induction phase of this patient where discontinuation of eculizumab therapy was contemplated due to the lack of a sustained positive impact. However, continued therapy with eculizumab not only eventually halted the thrombotic microangiopathy but also reversed the target organ injury. Platelet count and hemoglobin stabilized, hemodialysis was discontinued and serum creatinine ultimately declined to 1.1 mg/dL. It is worth mentioning that specific mutations in the alternative pathway of the complement system can cause atypical HUS. These mutations include, but are not limited to, complement factor H, I, B (CFH, CFI, CFB) and membrane co-factor protein (MCP) [2Schmidtko J, Peine S, El-Housseini Y, et al. Treatment of atypical hemolytic uremic syndrome and thrombotic microangiopathies: a focus on eculizumab Am J Kidney Dis 2013; 61: 289-99., 6Loirat C, Frémeaux-Bacchi V. Atypical hemolytic uremic syndrome Orphanet J Rare Dis 2011; 6: 1-30., 10Bresin E, Rurali E, Caprioli J, et al. European Working Party on Complement Genetics in Renal Diseases Combined complement gene mutations in atypical hemolytic uremic syndrome influence clinical phenotype J Am Soc Nephrol 2013; 24: 475-86.]. In addition, neutralizing autoantibodies to complement regulatory proteins can also lead to activation of the complement system and cause atypical HUS. Specific mutations have been found in 50% of the patients with atypical HUS [2Schmidtko J, Peine S, El-Housseini Y, et al. Treatment of atypical hemolytic uremic syndrome and thrombotic microangiopathies: a focus on eculizumab Am J Kidney Dis 2013; 61: 289-99., 6Loirat C, Frémeaux-Bacchi V. Atypical hemolytic uremic syndrome Orphanet J Rare Dis 2011; 6: 1-30., 10Bresin E, Rurali E, Caprioli J, et al. European Working Party on Complement Genetics in Renal Diseases Combined complement gene mutations in atypical hemolytic uremic syndrome influence clinical phenotype J Am Soc Nephrol 2013; 24: 475-86.]. However, not all of the mutations have been identified. We did not investigate the presence of a genetic mutation in our patient. However, family history of a first cousin with the diagnosis of presumed TTP and multiple failed renal transplants points to this possibility. However, an investigation to assess a specific mutation may be helpful from prognostic as well as treatment standpoint (liver-kidney or kidney only transplant/replacement of a particular complement protein). In this context, a recombinant CFH is available and has produced positive results in an experimental setting [11Büttner-Mainik A, Parsons J, Jérôme H, et al. Production of biologicallyactiverecombinanthuman factor H in Physcomitrella Plant Biotechnol J 2011; 9: 373-83.]. Atypical HUS is a rare devastating disease with high morbidity and mortality. It can result in a 25% death rate during the acute phase and up to 50% of the patients can progress to end stage renal disease [1Caprioli J, Noris M, Brioschi S, et al. Genetics of HUS: the impact of MCP. Genetics of HUS: the impact of MCP, CFH, and IF mutations on clinical presentation, response to treatment, and outcome Blood 2006; 108: 267-79.]. Recent studies have emphasized that eculizumab is helpful in stabilizing the platelet count, halting hemolysis and improving renal function [5Solaris (eculizumab) [prescribing information] Cheshire CT Alexion Pharmaceuticals 2012., 7Nürnberger J, Philipp T, Witzke O, et al. Eculizumab for atypical hemolytic-uremic syndrome N Engl J Med 2009; 360: 542-4.-9Chatelet V, Frémeaux-Bacchi V, Lobbedez T, Ficheux M, Hurault de Ligny B. Safety and long-term efficacy of eculizumab in a renal transplant patient with recurrent atypical hemolytic-uremic syndrome Am J Transplant 2009; 9 : 2644-5.]. The current case demonstrated continued fluctuations with decline in platelet count and hemoglobin level after initial improvement with infusions during the first month. However, continued therapy resulted in stabilization and improvement in both platelet count and hemoglobin level and the patient was eventually taken off dialysis therapy. Based on the case presented, we suggest that initial less-than-optimal response to eculizumab therapy should not deter clinicians from using this form of therapy.